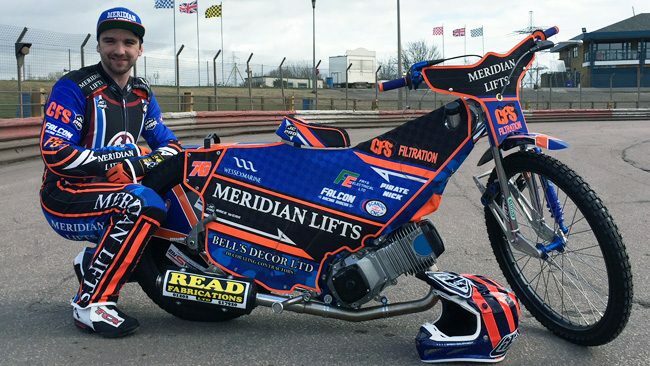 In our final season at The Raceway, which included fixtures at Rye House, our 2018 Hammers team under the Management of Will Pottinger, reached both the Play-Off Final and the Championship Shield Final. 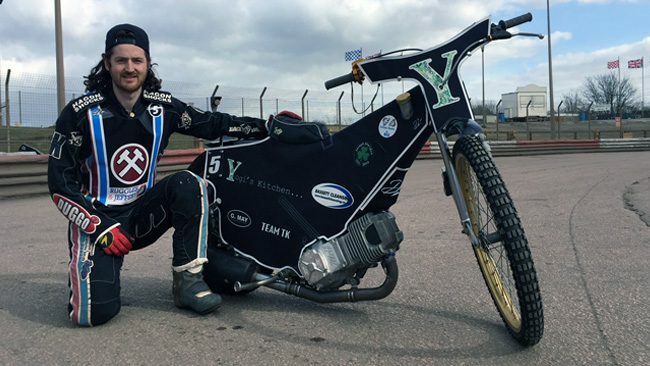 The Hammers were defeated on both occasions by The Workington Comets, who won the treble in 2018, but have also sadly put their license on ice in 2019. 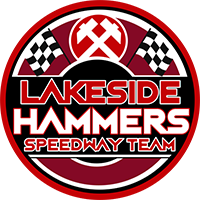 Our 2018 Hammers team are shown below. (2010) Buxton, Glasgow; (2011) Glasgow, Coventry; (2012) Swindon, Scunthorpe; (2013-14) Swindon, Somerset; (2015) Swindon, Glasgow; (2016) Swindon; (2017) Swindon, Berwick. Major Honour: Queensland Under-16 Champion: 2009, 2010; New South Wales Under-16 Champion: 2010; Championship Riders Individual winner: 2017. Club Honours: League Championship winner: 2010 [Buxton], 2011 [Glasgow], 2012 [Swindon], 2012 [Scunthorpe], 2013 [Somerset], 2017 [Swindon]; Knockout Cup winner: 2013 [Somerset]; Premier Shield winner: 2014 [Somerset]; Four-Team Championship winner: 2014 [Somerset]. World Cup Record: 3 meeting, 19 points. 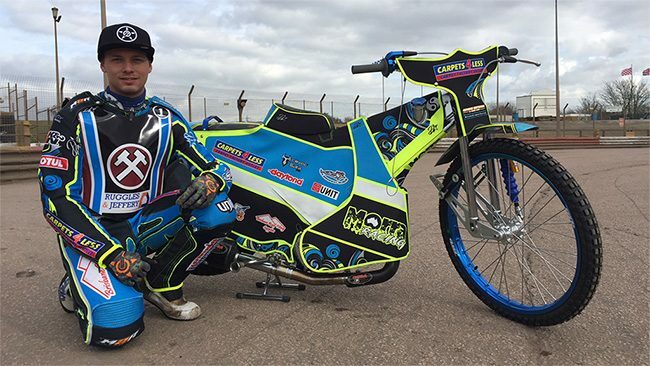 British Career: (2009-10) Rye House II; (2011) Rye House, Hackney; (2012) Rye House II; (2013) Kent; (2014) Lakeside, Kent; (2015) Redcar, Kent; (2016) Lakeside, Rye House, Rye House II; (2017) Rye House, Lakeside. 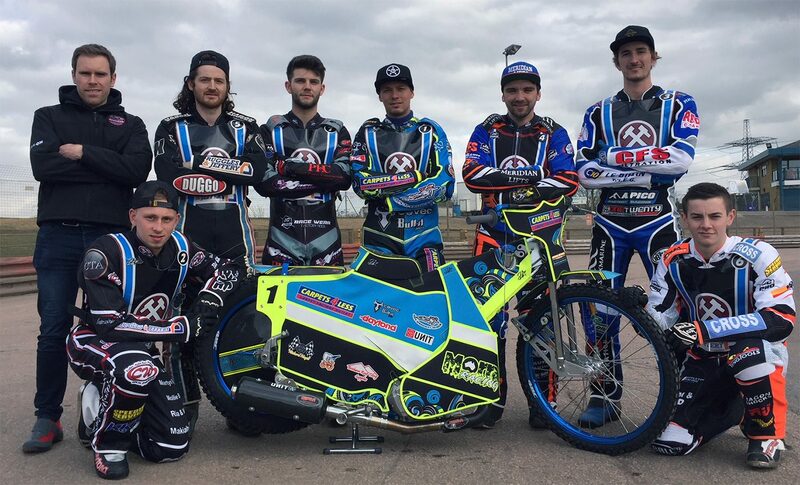 Club Honours: Pairs Championship winner: 2015 [Kent]; National League Riders’ Champion: 2015; Four-Team Championship winner: 2016 [Rye House II]. 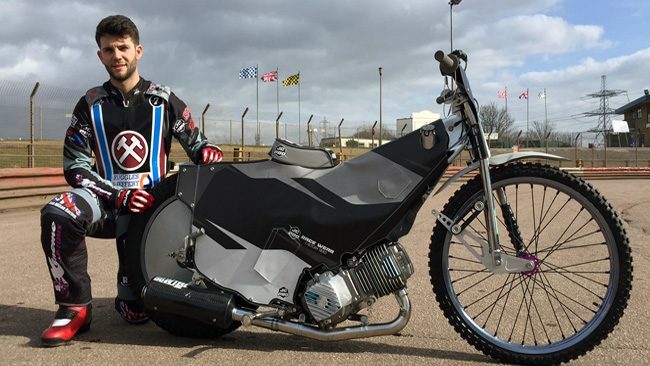 British Career: (2012) Isle of Wight; (2013) Isle of Wight, Ipswich; (2014) Lakeside, Ipswich; (2015) Lakeside, Birmingham; (2016) Poole, Eastbourne; (2017) Swindon. 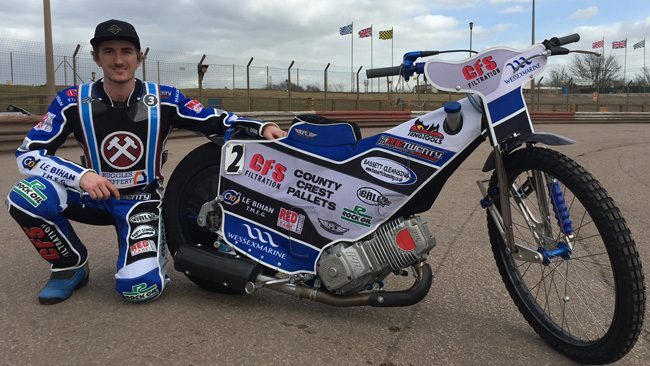 Club honours: Four-Team Championship winner: 2015 [Birmingham]; League Championship winner: 2015 [Birmingham], 2017 [Swindon]; Elite Shield winner: 2016 [Poole]; Knock-Out Cup winners: 2016 [Eastbourne]. Date of Birth: 14 February 1986, Whitehaven, Cumbria. 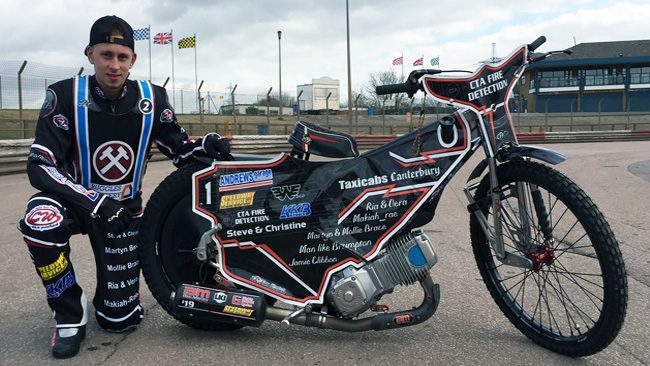 British Career: (2008) Redcar II; (2009) Workington; (2010) Workington, Wolverhampton; (2011) Workington, Peterborough; (2012) Workington; (2013) Lakeside, Workington; (2014) Lakeside, Redcar; (2015-16) Lakeside, Glasgow; (2017) Somerset, Glasgow. Club Honours: Four-Team Championship winner: 2009 [Workington]; Young Shield winner: 2010 [Workington]; Knock-Out Cup winner: 2016 [Glasgow]. British Career: (2015) Birmingham; (2016) Somerset, Birmingham; (2017) Swindon, Lakeside. 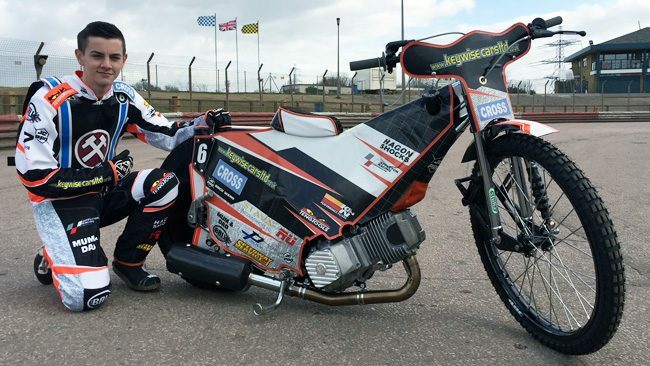 Major Honours: FIM 125cc Youth Gold Trophy Champion: 2012, 2013; British 250cc Youth Champion: 2013; FIM 250cc Longtrack Youth World Cup: 2014; British Under-19 Champion: 2017. Club Honours: Four-Team Championship winner: 2015 [Birmingham]; League Championship winner: 2015 [Birmingham], 2016 [Birmingham], 2016 [Somerset], 2017 [Swindon]; National Trophy winner: 2016 [Birmingham]; League Cup winner: 2016 [Somerset]. Date of birth: 23 January 1997, Chelmsford, Essex. British Career: (2015) Rye House II; (2016) Mildenhall; (2017) Newcastle, Lakeside.